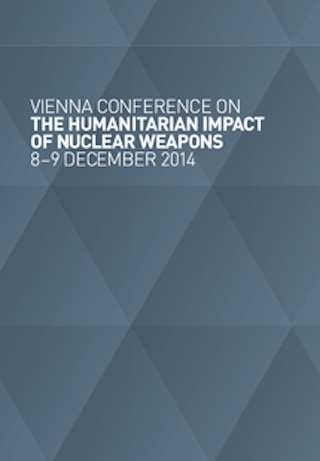 The Humanitarian Pledge to stigmatize, prohibit and eliminate nuclear weapons was launched at the Vienna Conference on the Humanitarian Impact of Nuclear Weapons in December 2014. To date, 127 states have formally endorsed the pledge. The Netherlands has not. 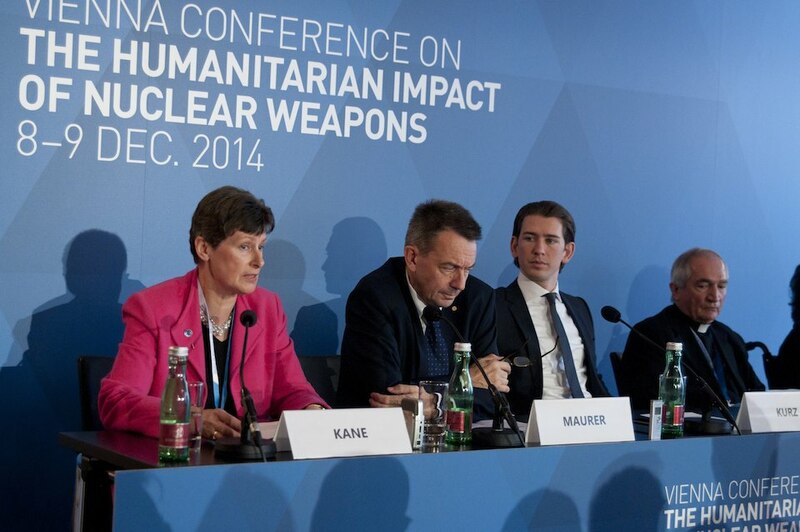 Three international conferences to examine the humanitarian impact of nuclear weapons have demonstrated that the catastrophic consequences of nuclear weapons affect all states, and that the risks are too great to ignore. The Humanitarian Pledge seeks to correct the legal anomaly whereby nuclear weapons are the only weapon of mass destruction not explicitly prohibited by international treaty. As such, the Pledge supports the objectives of the Nuclear Non-proliferation Treaty (NPT) and the role of international law in pursuing global peace, justice and security. Although it claims to support nuclear disarmament, and styles itself as a champion of international law, the Netherlands has refused to endorse the Humanitarian Pledge. In its Security Council campaign material, the Netherlands states "All people deserve to live in a fair and just world. We believe an international legal order is in the interests of all countries. It forms the best guarantee for a level playing field, with clear and predictable rules for all". And yet the Netherlands not only believes that it should unfairly benefit from a legal gap that allows it and a few other states to rely on nuclear weapons indefinitely, but disingenuously claims that the gap does not exist! Academic studies have demonstrated that there is no legal reason that the Netherlands could not join the Humanitarian Pledge. The Pledge is fully compatible with NATO membership (nuclear disarmament is, after all, an official NATO goal). As a non-nuclear-weapon state party to the NPT, the Netherlands would be free to join the Pledge tomorrow. Joining the Pledge would not require any immediate changes to Dutch policy, NATO cooperation, military practices, or nuclear sharing arrangements. 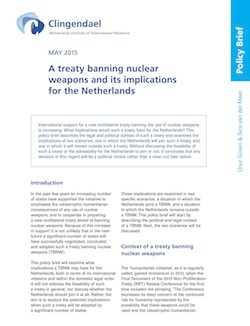 It would require only a political commitment to work sincerely with other states to prohibit and eliminate nuclear weapons - a goal which the Dutch government claims to support. The Netherlands' decision not to join the Humanitarian Pledge is purely political. It fears a negative reaction from its NATO partners. 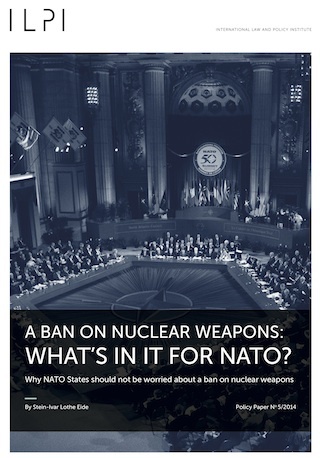 But all members of NATO share the NATO goal of nuclear disarmament. They are all members of the NPT, and therefore legally obliged to pursue negotiations in good faith on effective measures relating to nuclear disarmament. Even if some NATO members choose not to join the Humanitarian Pledge themselves, they have no grounds to object to other members doing so. The Netherlands' refusal to endorse the Humanitarian Pledge draws into question its sincerity and good faith in implementing its obligations under the NPT. How can a non-nuclear-weapon state party to the NPT - for which nuclear weapons are already prohibited, and which is legally obliged to pursue effective measures for disarmament - justify refusing to commit to working with others to prohibit and eliminate nuclear weapons globally? The Netherlands is either oblivious to, or is deliberately ignoring, its own role in perpetuating the problems it claims to be working to solve. Do we really want such a state on the Security Council?